The design doesn’t stop at the door. Make the style fluid with door hardware that makes a statement. 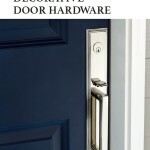 Doors & Windows West provides door knobs, handles, and levers that say craftsmanship. From stainless steel, brass, or even color inserts, the options to mix and match are vast. Whether you are going for classic or contemporary, Doors & Windows West will have the right fit for you at an affordable price. Browse through preferred manufacturers’ catalogs to see what you like. 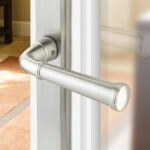 If you would like customized door hardware, Doors & Windows West can certainly handle that as well. Give us a call or get a quote online.